Peter van Minnen (PhD 1997) is an ancient historian broadly interested in the society, economy, and culture of the Roman Empire, including Early Christianity and Late Antiquity. He is an authority on papyri from Greco-Roman Egypt and made world news in 2000-01 with the discovery of the so-called Cleopatra papyrus. He has taught in Classics and History departments around the world, as well as in Divinity and Law schools. He has held fellowships from Leuven University, the Dutch Academy, Dumbarton Oaks, the American School in Athens, and the Loeb Foundation. He has taught seminars on Alexandria (Greek papyri), Keos (Greek inscriptions), Latium Vetus (Latin inscriptions), and Roman North Africa, as well as more topical seminars (e.g., religion in the Hellenistic and Roman Imperial worlds). He has set specials ranging from the Persian Empire and the economy of Classical Athens to Roman law and Greek and Latin patristics. His students have worked on Late Antique poetry, religion, and urban history, and on the transition from the Republic (or Hellenistic period) to the early Roman Empire from a variety of perspectives (literature, institutions, iconography, coins). All PhDs hold tenure-track positions in the US or abroad. He is currently engaged in two projects: the edition of a family archive from Hermopolis (with Greek athletes in the family) and a study of documents from Alexandria (complementing archaeology and literature; with a web component). His publications now number over 200 and include studies of the archaeological context of literature and documents, the Roman economy, and women in Greco-Roman Egypt. He loves numbers and looks forward to sharing his passion for agriculture, demography, and taxation… Since 2006 he edits the Bulletin of the American Society of Papyrologists, which involves one or two graduate assistants. For more information, see his academia.edu page: He is on academia.edu (https://uc.academia.edu/PetervanMinnen), and for a CV see http://classics.uc.edu/~vanminnen/PVM-CV2015-WEB.pdf. MA, University of Leiden, Leiden, Netherlands, 1983 (Classics including Ancient History and Papyrology). PhD, University of Leuven, Leuven, Belgium, 1997 (Ancient History). Peter van Minnen has been working on the Egyptian city of Hermopolis in the Roman period and on the economy of Roman Egypt more generally. He plans to edit the archive of a family of athletes from Hermopolis. He also intends to publish a collection of essays on early Christianity in Egypt from Alexandria to Philae. He maintains a web site on ancient Alexandria (http://classics.uc.edu/~vanminnen/) and plans to write a monograph on Alexandria in the age of Augustus. 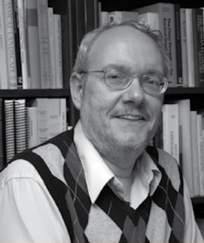 He is currently directing two dissertations on Late Antique Mérida, Spain, and on temples in Roman Egypt. Postdoctoral Fellowship, Royal Netherlands Academy of Arts and Sciences. 1998 to 2001. Postdoctoral Fellowship, Research Council, Leuven University. 1997 to 1998. Research Fellowship, Research Council, Leuven University. 1996 to 1997. Research Fellowship, Netherlands Organization for Scientific Research. 1985 to 1989. Whitehead Professor, American School of Classical Studies at Athens. 2008 to 2009. Editorial Assistantship (renewable), Graduate School. $11,536. 2011 to 2012. Status: Active. (PI) Van Minnen, Peter, Lower City Houses of llion, Department of State. (Fulbright Scholar); $.00. 09/01/2010 to 03/01/2011. Status: Closed. (2003). A royal ordinance of Cleopatra and related documents. In S. Walker and S.-A. Ashton (Eds. ), Cleopatra Reassessed (pp. 35-44). London: British Museum Press. (2003). Dioscorus and the law. In A.A. MacDonald, M.W. Twomey and G.J. Reinink (Eds. ), Learned Antiquity: Scholarship and Society in the Near East, the Greco-Roman World, and the Early Medieval West (pp. 115-133). Leuven: Peeters. (2003). The Greek Apocalypse of Peter. In J.N. Bremmer (Eds. ), The Apocalypse of Peter (pp. 15-39). Leuven: Peeters. (2004). Greek papyri and Coptic studies, 1996-2000. In M. Immerzeel and J. van der Vliet (Eds. ), Coptic Studies on the Threshold of a New Millennium 1 (pp. 423-445). Leuven: Peeters. (2004). Literature. In R.S. Bagnall and D.W. Rathbone (Eds. ), Egypt from Alexander to the Copts: An Archaeological and Historical Guide (pp. 36-41). London: British Museum Press. (2004). Hermopolis, Antinoopolis and cemeteries. In R.S. Bagnall and D.W. Rathbone (Eds. ), Egypt from Alexander to the Copts: An Archaeological and Historical Guide (pp. 162-172). London: British Museum Press. (2006). The changing world of cities in Later Roman Egypt. In J.-U. Krause and C. Witschel (Eds. ), Die spätantike Stadt – Niedergang oder Wandel?(pp. 153-179). Stuttgart: Steiner. (2006). Saving history? Egyptian hagiography in its space and time. In J. Dijkstra and M. van Dijk (Eds. ), The Encroaching Desert: Egyptian Hagiography and the Medieval West (pp. 57-91). Leiden and Boston: Brill. (2007). The millennium of papyrology (2001-)?. In B. Palme (Eds. ), Akten des 23. internationalen Papyrologen-Kongresses (pp. 703-714). Wien: Österreichische Akademie der Wissenschaften. (2007). The other cities in Later Roman Egypt. In R.S. Bagnall (Eds. ), Egypt in the Byzantine World, 300-700 (pp. 207-225). Cambridge: Cambridge University Press. (2007). The Akhmim codex of the Gospel of Peter. In T.J. Kraus and T. Nicklas (Eds. ), Das Evangelium nach Petrus. Text, Kontexte, Intertexte (pp. 54-60). Berlin and New York: Walter de Gruyter. joint with J.F. Oates (2007). Three papyri from Kellis. In A.J.B. Sirks and K.A.Worp (Eds. ), Papyri in Memory of P.J. Sijpesteijn (pp. 54-64). Oakvile, CT: American Society of Papyrologists. (2008). Money and credit in Roman Egypt. In W.V. Harris (Ed. ), The Monetary Systems of the Greeks and Romans (pp. 226-241). Oxford: Oxford University Press. (2009). The future of papyrology. In R.S. Bagnall (Ed. ), Oxford Handbook of Papyrology (pp. 644-660). Oxford: Oxford University Press. (2010). Contracting caterers on Keos. In J.H.F. Dijkstra, J.E.A. Kroesen and Y. Kuiper (Eds. ),Myths, Martyrs, and Modernity: Studies in the History of Religions in Honour of Jan N. Bremmer(pp. 209-217). Leiden and Boston: Brill. (2010). Archaeology and papyrology: digging and filling holes? In K. Lembke, M. Minas-Nerpel and S. Pfeiffer (Eds. ), Tradition and Transformation: Egypt under Roman Rule (pp. 437-474). Leiden and Boston: Brill. (2010). Die Königinnen der Ptolemäerdynastie in papyrologischer und epigraphischer Evidenz. In A. Kolb (Ed. ), Augustae. Machtbewusste Frauen am römischen Kaiserhof? (pp. 39-53). Berlin snd New York: De Gruyter. (2006). Saving history? Egyptian hagiography in its space and time. Church History and Religious Culture (86), 57-91.
joint with K.A. Worp (2009). A Latin manumission tax tablet in Los Angeles. Bulletin of the American Society of Papyrologists (46), 15-22. (2009). Less Artemidorus and More. Bulletin of the American Society of Papyrologists (46), 165-174. (2009). P.Princ. 3.159. Bulletin of the American Society of Papyrologists (46), 146. (2009). P.Princ. 2.29. Bulletin of the American Society of Papyrologists (46), 147-148. (2010). For John Whitehorne. Bulletin of the American Society of Papyrologists (47), 7. (2010). Traianos Gagos (1960-2010). Bulletin of the American Society of Papyrologists (47), 9-10. (2010). P.Got. 9. Bulletin of the American Society of Papyrologists (47), 234-235. (2004). R. Sallares, Malaria and Rome, Oxford 2002. Journal of Interdisciplinary History 35, 117-119. (2006). A.T. Crislip, From Monastery to Hospital, Ann Arbor 2004. Social History of Medicine 19, 355-356. (2006). Achille Vogliano cinquant’anni dopo 1, Milan 2003. Bulletin of the American Society of Papyrologists 43, 179-180. (2006). Ægyptus Christiana. Mélanges d’hagiographie égyptienne et orientale dédiés à la mémoire du P. Paul Devos, Bollandiste, Geneva 2004. Bulletin of the American Society of Papyrologists 43, 181-182. (2006). H.J. Wolff, Das Recht der griechischen Papyri Ägyptens in der Zeit der Ptolemaeer und des Prinzipats 1, Munich 2002. Bulletin of the American Society of Papyrologists 43, 183-188. (2007). S. Pfeiffer, Das Dekret von Kanopos (238 v. Chr. ), Munich and Leipzig 2004. Gnomon 79, 709-713. (2008). M. Westerhoff, Auferstehung und Jenseits im koptischen "Buch der Auferstehung Jesu Christi, unseres Herrn", Wiesbaden 1999. Bulletin of the American Society of Papyrologists 45, 277-284. (2009). F.A.J. Hoogendijk and B.P. Muhs (eds. ), Sixty-Five Papyrological Texts Presented to Klaas A. Worp on the Occasion of his 65th Birthday, Leiden and Boston 2008. Bulletin of the American Society of Papyrologists 46, 199-207. (2009). N.Litinas, Ostraca from Abu Mina (O.Abu Mina), Berlin and New York 2008. Bulletin of the American Society of Papyrologists 46, 225-228. (2009). E.M. Grob and A. Kaplony (eds. ), Documentary Letters from the Middle East: The Evidence in Greek, Coptic, South Arabian, Pehlevi, and Arabic (1st-15th c CE). Asiatische Studien/Études Asiatiques 62.3 (2008), 671-906. Bulletin of the American Society of Papyrologists 46, 235-239. (2009). G. Cavallo, La scrittura greca e latina dei papyri. Pisa and Roma 2008. Bulletin of the American Society of Papyrologists 46, 249-250. (2009). T. Derda, Arsinoites nomos, Warsaw 2006. Bulletin of the American Society of Papyrologists 46, 267-270. (2009). M. Hirt-Raj, Médecins et malades de l’Égypte romaine, Leiden 2005. Bulletin of the American Society of Papyrologists 46, 271-273. (2009). J. Gascou, Sophrone de Jérusalem, Miracles de Saints Cyr et Jean, Paris 2006. Bulletin of the American Society of Papyrologists 46, 291-292. (2010). R.W.V. Catling and F. Marchand (eds. ), with the assistance of M. Sasanow, Onomatologos: Studies in Greek Personal Names Presented to Elaine Matthews, Oxford 2010. Bulletin of the American Society of Papyrologists 47, 319-321. (2006). Becoming a Reader in Graeco-Roman Egypt. Constructing Literacy among the Greeks and Romans, University of Cincinnati. (2005). Saving History? Egyptian Hagiography in Space and Time. Egyptian Hagiography, University of Groningen. (2005). Money, Credit and Capital in Roman Egypt. The Nature of Ancient Money, Columbia University. (2005). The Family Papers of Dioscorus of Aphrodite. Les archives de Dioscore, University of Strasbourg. (2004). The Cities of Later Roman Egypt. Spring Symposium, Dumbarton Oaks. (2004). Alexandria, the Royal City on the Sea. Alexander Mini-Symposium, University of Cincinnati. (2003). Cities in Later Roman Egypt. Die spätantike Stadt – Niedergang oder, University of Munich. (2003). Hermopolis in Late Antiquity. Yale University. (2003). Poverty and Religion in Roman Egypt. Archaeology and Religion, Society of Biblical Literature. (2008). Alexandria in the Age of Augustus. University of Chicago. (2008). Hermopolis and Italy. The Centenary of the Società Italiana, Istituto Papirologico "G. Vitelli". (2008). Papyrology and Archaeology. Tradition and Transformation in Roman Egypt, Roemer-Pleizaeus-Museum Hildesheim. (2008). Hellenistic Queens and Roman Women. Augustae und Politik, University of Zurich. (2008). Alexandria in the Age of Augustus. American School of Classical Studies at Athens. Workshop. Papyrological Summer Institute (05-2005 to 06-2005), University of Cincinnati. 01/01/2002-08/31/2005, Assistant Professor, University of Cincinnati, Cincinnati, OH. Editor of Journal, American Society of Papyrologists 2006. Member, Association Internationale de Papyrologues Comité International, 2010to2019. Member, American Research Center in Sofia Managing Committee, 2006. 09/01/1998-08/31/2001, Postdoctoral fellow, Dutch Royal Academy, Amsterdam. 09/10/2001-12/10/2001, Fellow, Dumbarton Oaks, Washington, DC. 09/01/2008-06/01/2009, Whitehead Professor American School of Classical Studies at Athens. 15-CLAS-991, Trends in Ancient History.